I know that I am not the only one that is tired of hearing about Rob and Kristen's break up. I have not posted pictures or articles about it since the story broke out of respect and support for them both. Not to mention that quite frankly it's none of my business. Yes of course I did not want to believe it was true at first but then it became hard to deny. I think it has been utterly ridiculous the media coverage on this. I know they are celebrities and with that comes fame, spotlights, scrutiny, exposure, etc but WOW just WOW!!! Talk about throw her to the wolves and rake her over some hot coals!! Even fans themselves have done it and have called her names and said they no longer like her or are fans of hers etc.... SERIOUSLY!! Everyone makes mistakes and she is just like you and me, HUMAN! This is a private matter between them and just because they are famous and portray the characters that we all love so dearly does not make it right for us to take part in this slander and disrespect her. I saw someone post this on their Facebook page and usually I scroll right past anything that has to do with this topic but the title of this article caught my eye. I am glad that I did because this is a great article that I think you should read it. I totally agree and feel the same way. "Kristen Stewart, Take Off Your Scarlet Letter..."
"Actress Kristen Stewart had an affair with director Rupert Sanders during the filming of Snow White and the Huntsmen. Stewart admitted to her "crime." She even made a public apology (not that I think she needed to). Now I can't go online or look at a magazine cover without seeing a picture of her appearing forlorn and depraved. You are no man's Hester Prynne, Kristen Stewart. You do not live in a 17th century Puritanical world. Write your own ending to this story. Don't drop out of film commitments or press junkets. Don't let public scrutiny dictate how you feel about yourself. You did a bad thing. You apologized. Now move on. The media is turning Kristen Stewart's lapse of judgment into a cautionary tale for other little girls. Ms. Stewart is reportedly the highest paid female actress in Hollywood after playing Bella Swan, the title character from a very popular young adult book series, which were made into the highly successful Twilight Saga films. Demonizing her behavior only perpetuates the Scarlet Letterlegacy. But Kristen Stewart is not Hester Prynne or Bella Swan. She is an actress and more importantly, a person. Whatever act of betrayal she committed is between her and Robert Pattinson to resolve. It's not for us to judge her, unless of course you are without sin." Read the full article here at Huffington Press. Here, here!! Very well said!! 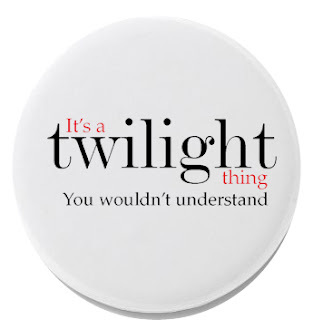 I am and will forever be a Rob, Kristen, Edward, Bella and Twilight fans! No matter what the future brings or even after the (sniff sniff) last movie comes out. Twilight has meant so much to me and I have made some TRULY FANGTASTIC friends that I will cherish forever. It's not just about a book, movie or story there is just so much more to it than that. I can't explain it and I think it is only something that a fellow Twilighter can truly understand.